On April 22, the Colorado House passed SB198. A small amendment was added on the floor, so the bill will go back to the Senate for concurrence. For more information about SB298, read below. DENVER—Today, three measures sponsored by House Republicans to strengthen victim protections and prevent violent crime advanced in the House of Representatives. Bills that advanced include a measure that allows a court to limit public access to court proceedings involving sexually exploitative materials related to children, a proposal that will help local governments by allowing the state to shoulder the costs of Colorado’s victim notification system and a bill to study human trafficking in Colorado. 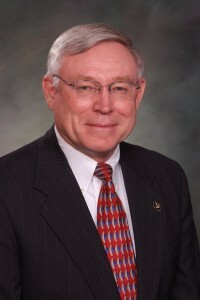 Senate Bill 198, sponsored by state Rep. Bob Gardner, allows a court to close proceedings to the public when images of sexually exploitative materials or forensic interviews directly related to a child are presented as evidence. The measure passed the House Judiciary Committee with unanimous support. Gardner is also the sponsor of House Bill 1241, which reduces local government expenditures on Colorado’s victim notification system by allowing the state to shoulder the program’s costs. The measure passed the House Appropriations Committee with bipartisan support. Today, the House Appropriations Committee also passed a bill that fights human trafficking. State Reps. Jared Wright, R-Fruita, and Dan Nordberg, R-Colorado Springs, drafted House Bill 1195 to create stricter punishments for those involved in human trafficking. However, the bill was later amended by Democrats on the House State, Veterans and Military Affairs Committee to initiate a study of human trafficking in Colorado. After the study is finished, the Colorado Commission on Criminal and Juvenile Justice will make recommendations to lawmakers on how best to combat human trafficking in Colorado.